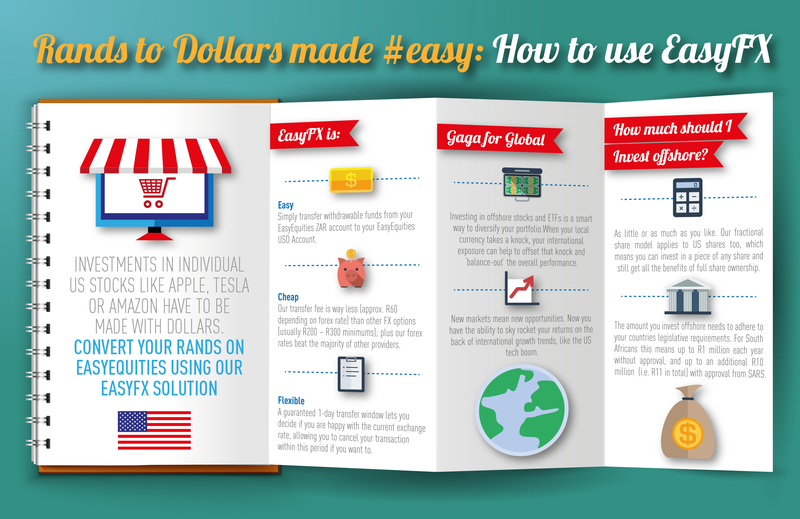 With all the access to the US markets we offer, we have come up with a solution hosted on our website and app that would make transferring your funds offshore simpler than before. With EasyFX you can deposit your funds into EasyEquties ZAR account in Rands, and then have them converted into dollars within a few days at a fixed rate. Read more on the functionality in this FAQ article here.